Understanding the Types of Nanny Positions. As you begin your search for the ideal nanny job, it’s important to take a moment to put yourself in any prospective nanny employer’s shoes. For a family, searching for a nanny is a highly involved process. It can also be a scary one since they’re hiring a stranger to come into their private home to care for their most valued and prized possessions: their children. From the first email exchange to the face-to-face interview, parents will be taking everything you say and do into consideration. Parents will present you with a wide variety of questions and concerns. If you address most or all of these queries, you will be much more likely to inspire the trust and confidence of prospective employers. When first beginning the nanny application process, it is important that you clearly state what kind of employment you are looking for. By clearly stating if you are seeking a live-in or live-out nanny position, for example, your search can be directed to families who are seeking the same arrangement. When your needs and expectations are disclosed, you are better able to find a suitable nanny position. When applying for nanny jobs, parents will consider your previous childcare experience. A family will often want to hire a nanny who has worked with children of a similar age-and with the same special needs-as their children. For example, a family with multiples may prefer to hire a nanny who has previously worked with multiples. When highlighting your childcare experience, be sure to include the ages and children you have worked with and any special needs the children or family had. Many families will also seek to hire nannies with a college degree (BA or AA) in child development or related fields. If you have college experience, be sure to share it with parents. With enough experience and specialized skills, however, a college degree may be overlooked. If you don't have a college degree, for example, but have been trained in language development, then families may actually favor this kind of experience. Parents generally also appreciate a nanny who has a clean and professional look. While it is rare for parents today to insist their nanny wear a uniform, many nannies to opt to wear a uniform of their own, for example khaki or black pants and a polo top. Since many babies and children have sensitive skin and are sensitive to smells, wearing little or no makeup and perfume may also be preferred. Dressing conservatively and applying minimal makeup and jewelry reduces the focus on your appearance and brings the attention to your childcare abilities. An upbeat and responsible attitude reflects a trustworthy and commendable childcare provider. Many times nannies base their salary requirements on what they believe a family can afford to pay or what they need to earn to pay their bills. It is important to consider if the salary you request is a realistic figure based on your qualifications. A nanny’s geographical location, experience, education, duties, responsibilities and schedule influence her earning potential. All that said, families who care for their children should be prepared to pay for quality care. Don't be afraid to ask for a competitive salary. Indeed, if you are presenting yourself as a well qualified childcare professional you should expect to receive appropriate compensation. Nannies salaries vary widely and are dependent on geographical location, nanny experience and education and the duties, responsibilities and schedule of the particular nanny job. In most parts of the country, part-time nannies are in high demand and short supply. Nannies seeking part-time employment typically charge higher hourly rates. Part-time nannies earn from minimum wage to $18 or more per hour. Live-in and live-out full-time nannies are generally paid weekly salaries. These salaries are based on a base hourly rate and an overtime rate. All live-out nannies and some live-in nannies, depending on where you live, are entitled to overtime pay. According to the 2012 International Nanny Association Salary and Benefits survey, full-time nannies earn, on average, about $700 gross per week. Live-in nannies earn slightly less. When discussing nanny salaries, it is important to clarify if you are speaking in gross (before taxes) or net (after taxes) terms. Doing so upfront can help avoid confusion later. 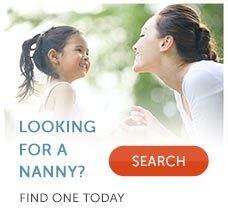 There are many different types of nanny jobs available. Articulating what type of nanny job you are seeking can help direct you to families who are seeking the services you wish to provide. Nanny A nanny is employed by the family on a live-in or live-out basis to provide customized and personalized childcare and undertake all childcare tasks related to the children. Nannies partner with parents to raise physically, socially, emotionally and intellectually healthy children. Nannies typically undertake all tasks related to childcare including keeping the children’s areas neat, clean and organized and doing the children’s laundry. Nannies may or may not have formal training, but most have a general working knowledge of childcare and an interest in early childhood development. Nanny/Housekeeper A nanny/housekeeper fulfills the traditional role of a nanny, but also is responsible for general housekeeping. Nanny/housekeepers may be expected to vacuum, mop, sweep and do the family’s laundry. They may also be responsible for doing the dishes, dusting and deep cleaning of the home. If looking for a job as a nanny/housekeeper, you’ll want to be sure that specific time is allotted when the children are not in your care to complete the housekeeping related tasks. When with the children, caring for them should be your first priority. Nanny/Household Manager A nanny/household manager fulfills the role of nanny but also assists the family in managing the household. A nanny/household manager may run errands, schedule contractors and oversee work being done on the home. The nanny/household manager may also pay bills related to upkeep of the home, make travel arrangements and manage a family calendar. Many nannies transition into the role of nanny/household manager with the children they care for enter school. Babysitter A babysitter is hired by parents to provide temporary or occasional short-term care. Babysitters care for the children and keep them safe until the parents return home. Babysitters generally follow the specific daily instructions and schedule parents leave for them. Honestly evaluating the duties and tasks you are comfortable performing and identifying the type of nanny job you wish to secure can help guide you to nanny positions that would suit you best.